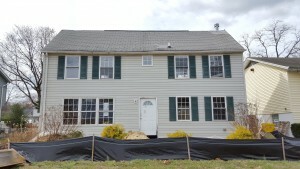 Hard Money Bankers funded this full renovation project for a real estate investor in Arnold, Maryland. The investor has a $80K construction budget and plans to fully renovate this property within 90 days to hit the end of summer market. Hard Money Bankers funds loans in MD, VA, DC, PA and NJ. Did the investor purchase and HMB fund the $80,000 construction? What were the differences in purchase and sale prices? How much of closing costs were covered by HMB?